What does a videographer do? Would you make a good videographer? Take our career test to find out how you match with this and over 800 other careers. What is the workplace of a Videographer like? A videographer is someone who is responsible for recording live events and small scale video productions. Videographers focus on smaller productions like documentaries, live events, short films, legal depositions, weddings, birthday parties, sports events, commercials, and training videos. For smaller productions, a videographer often works alone with a single-camera setup or with a small team of light technicians and sound technicians. The improvement of digital cameras, the expansion of the Internet, and other advances in technology are quickly changing the industry and driving its growth. Videographers typically use some type of electronic media (streaming media, videotape, hard disk, etc. ), compared to cinematographers who record on film and work on major motion pictures. Videographers may also be accountable for repair and maintenance of equipment, lighting and sound, and editing. 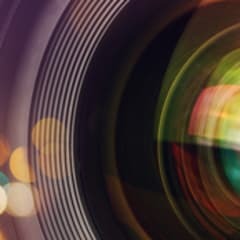 Corporate videographers work for companies, and their responsibilities are basically limited to making videos that would promote the business. For example, if the videographer is working for a company that sells shoes online, their responsibility may involve making a short video about the company's summer shoe promotion that would be posted on its website. If the company is doing a community outreach or charity event, the videographer is responsible for recording the event from start to finish. These video footages can be used by the company to serve as proof that they are socially responsible as well as to promote any other campaigns they may have. Other duties may include recording meetings or operating equipment to assist in videoconferencing with other employees located in different locations around the world. Freelance videographers have more flexibility when it comes to choosing the kind of projects they'd like to work on. For example, they may be able to get special permits to take videos of locations that are not otherwise open to the public. They may be able to copyright their work and post it in online video channels, which may help get more freelance work and even bigger projects. Freelance videographers work extremely hard to get projects by putting in bids for work and convincing companies that they deserve to have the job. Are you suited to be a videographer? Videographers have distinct personalities. They tend to be artistic individuals, which means they’re creative, intuitive, sensitive, articulate, and expressive. They are unstructured, original, nonconforming, and innovative. Some of them are also enterprising, meaning they’re adventurous, ambitious, assertive, extroverted, energetic, enthusiastic, confident, and optimistic. Does this sound like you? Take our free career test to find out if becoming a videographer is right for you. Videographers may sometimes work outdoors and in remote locations, and will have to be ready to work in various weather conditions and bring their equipment with them while they are on location. Typically videographers work alone or with small teams of light technicians and sound technicians, and aside from operating the camera, they may be accountable for repair and maintenance of equipment, lighting and sound, and editing.